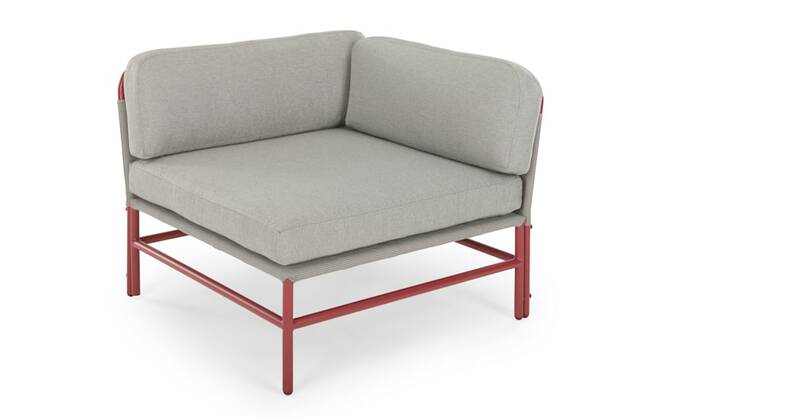 The tonal water resistent sofa and matching shaped cushions make the powder coated red rust metal frame pop. Next to that lush green lawn, neutral concrete patio or rich wooden deck, Kian will turn heads without screaming for attention. You’ve got a well-designed home. Let’s take it outside. Our outdoor collection is ideal for gardens and conservatories and includes dining and bistro sets, compact balcony furniture ideas and accessories.